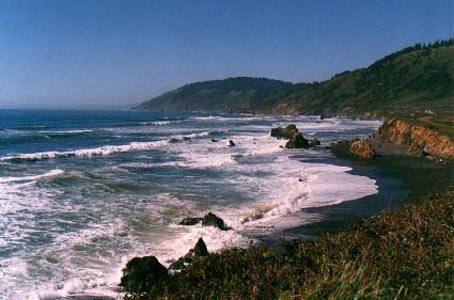 Howard Creek Ranch is located in a fabulous oceanside watershed bordering the Lost Coast, where Howard Creek greets the sea on a long sandy beach. 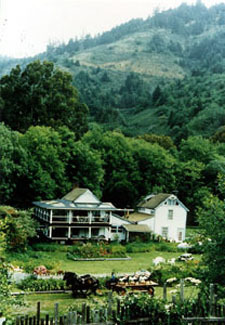 Award winning flower gardens, accommodations crafted from virgin redwood milled right from the ranch, sumptuous full breakfasts, indoor & outdoor spas with hot and cold pools, sauna, an array of wildlife including mountain & sea birds makes this 60 acre ranch one of the ultimate vacation destinations for lovers, thinkers or those seeking to heal and alievate stress. Accommodations with ocean, creek and forest views, wood stoves, fireplaces, private baths, king and queen beds are combined with other amenities. 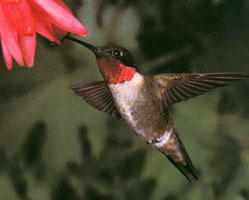 Rates for two are from $105 - $238. The ranch was first settled in 1867 and is an historic landmark furnished with various collectibles and antique artifacts. The 75 foot swinging bridge over the creek is a treat. Sally and Charles (Sonny) Grigg are seasoned innkeepers who truly understand the art of hospitality. With Howard Creek Ranch as your "home away from home" you can explore the shores of the Lost Coast just to the north, making this one of our favorite destinations for vacations that truly heal, inspire and transform.